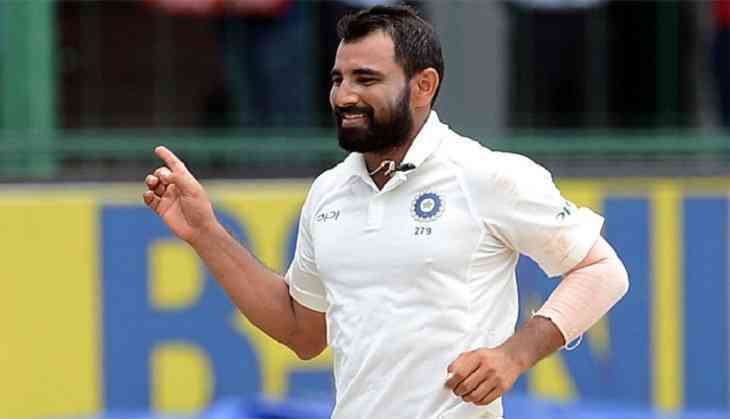 Cricketer Mohammed Shami's wife, Hasin Jahan revealed his personal chats and conversations with other girls and claimed that he was even involved in match-fixing after which BCCI took the matter in their hands. Now, the latest update in the whole fiasco is that the BCCI has now cleared all the match-fixing allegations that were put on the cricketer which is surely going to give the cricketer, his family and his fans a sigh of relief. Not only this he has also been provided with a Grade 'B' annual contract that is going to make the cricketer richer by Rs 3 crore. Shami is now allowed to play the in the 11th season of the Indian Premier League for his team the Delhi Daredevils, starting April 7. After Hasin put the seriosus allegations on the cricketer, it was decided to hold his contract by the BCCI but now the cricketer has come out clean in the match-fixing allegations. ACU chief Neeraj Kumar was specially asked by the Committee of Administrators (CoA) to look into the matter about how Shami through the help of a Pakistani woman named Alishba took money from one Mohammed Bhai. The COA in their media release said, "The Hon'ble Supreme Court of India appointed Committee of Administrators (CoA) had requested Mr Neeraj Kumar, former Police Commissioner of Delhi and Head of BCCI Anti-Corruption Unit, to investigate the allegations against Mohd. Shami in so far as they pertain to the provisions of the BCCI Anti-Corruption Code." It further said that the confidential report to the CoA has been submitted by Mr Neeraj Kumar and the conclusions say that no further proceedings under the BCCI anti-corruption code will be done and are not needed in the matter. The release further read as, "For this reason, the BCCI shall proceed with offering a Grade B' annual retainership contract to Mohd. Shami." Well, this surely seems to be some good news after the whole matter became really serious! ALSO READ: Mohammed Shami affairs row: Wife Hasin Jahan leaks another chat of the cricketer; Now who is this new girl?